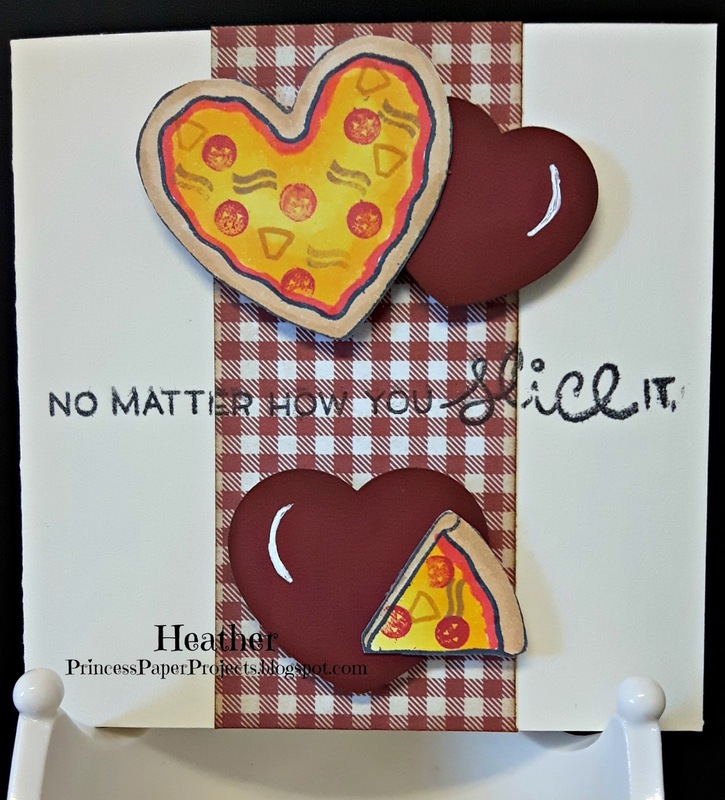 Princess' Paper Projects: Happy Valentine's Day!!! This is the card that I made for my hubby and because I forgot to photograph it before I signed it you get to see that too. I think that this stamp set called "Pizza my Love" by Lawn Fawn is just adorable and I love the way this card turned out. It is my new go to of 4" x 4" on an ivory card base. Patterned paper is from my scrap bin. Note that the outside pizza slice is meat lovers and the inside is veggie. We can never agree on toppings for pizza. LOL!! 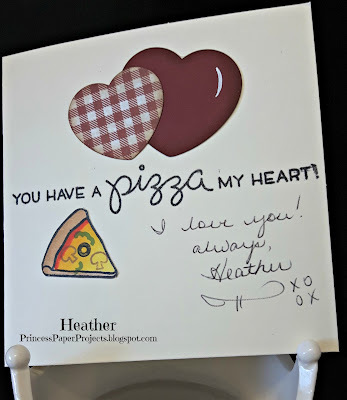 Hubby and I are off together today and we are going to a pizza place that serves heart shaped pizza for lunch so thought this card was most appropriate.